Your platform is the face of your online learning business. It is not just a place for learners to access stored content and videos — your online learning platform is essentially the product that you are selling. So, when you’re building your product — a program, course, certification, or degree — you need to think strategically about your market competition in order to make a decision about what type of online learning platform you should use. Understanding your market competition will help you surface and eliminate online learning platforms. In a market where you have very little competition, you may not need to stand out nor invest in heavily differentiated learning. In this case, a learning management system (LMS) based solution might suffice. Traditional commercial LMS, open source LMS, and modern learning solutions are platforms that give course designers simple functionalities necessary for developing online courses, like course authoring and managing learner profiles. Some may accommodate a specific learning experience (modern learning solutions). Others have communities of vendors who can configure, host, and customize open source learning management systems for a fee (open source LMS). In a market that is more competitive you need to stand out, create a unique offering, provide value, and push your brand. For small projects, destination sites — shared website that offer courses from many different providers — can be a great way to reach the masses and leverage the “people in the store.” However, if there are numerous competitors on that site, it is very difficult to stand out, since these platforms are homogeneous. Learning ecosystems or full custom platforms are the best fit in highly competitive markets because they allow you to create a differentiated, branded product with no limitations imposed. Learning management ecosystems allow organizations to use best-of-breed “point” solutions and knit them together into one platform. An example of a learning management ecosystem is the University of Notre Dame’s NeXus platform, which has Open edX (an open source LMS) at its core. The platform integrates more than a dozen other software tools, and has a custom front end. With a full custom built learning platform you build all, or most, of the technology you need from scratch by focusing on serving the business, learner, and pedagogy. This solution takes the most time and in many cases is the most expensive, but you get exactly what you need and have complete control over the experience and direction. A good example of a full custom learning platform is HBX, a custom platform built for Harvard Business School to deliver very high end business certificate courses. What are your learners expectations and incentives? What is your budget and revenue expectation? How important are pedagogy and learning outcomes? How important is learner satisfaction? Remember, you’re online learning platform is your product. If you are choosing a platform for online learning or training to generate revenue or impact, you may want to continue reading. 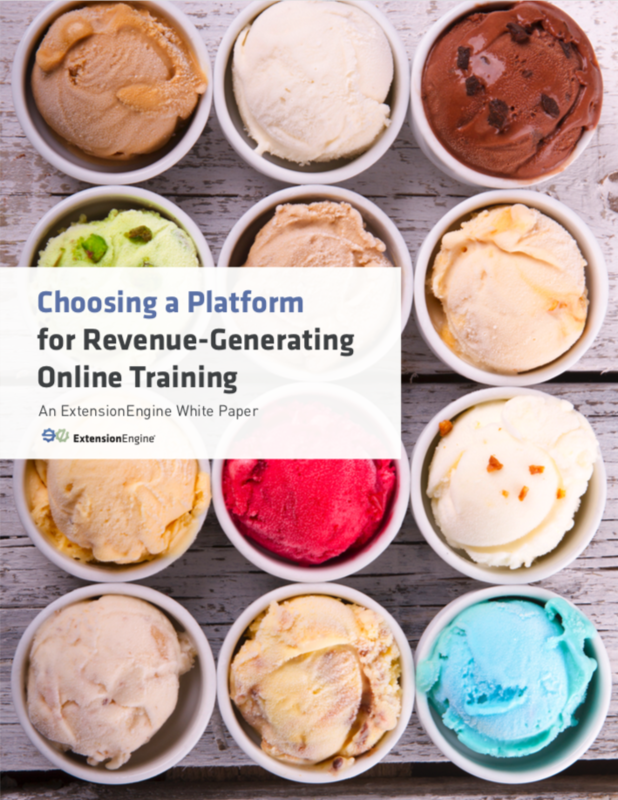 This white paper outlines the types of online learning platforms, considerations for choosing the right platform, and a framework for making the decision. Take a look and then schedule a call with our Principal Learning Strategist — an expert in online learning strategy and platform development — to talk through your strategy and implementation plan.